How can I get constipation cured? 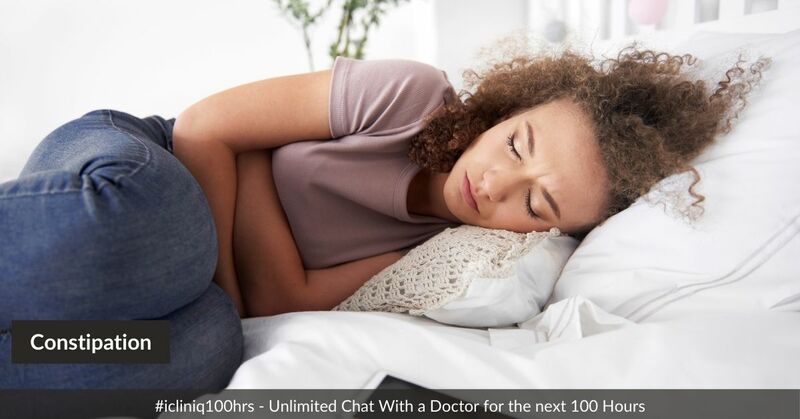 iCliniq › Ask a doctor online › Answers › Medical gastroenterology › Constipation › How can I get constipation cured? Q. How can I get constipation cured? Answered by Dr. Vedprakash Verma and medically reviewed by iCliniq medical review team. I am suffering from constipation for three years. Even after trying a lot of medicines I am not getting it fixed. Please give me the solution. • My constipation is so bad that I have to evacuate the stools with my fingers. Please help. • Please suggest some ayurveda medicine for IBS. • Do you recommend probiotics for acid reflux? Stop Calcium and Vitamin D capsule. Avoid alcohol and smoking, if you are habitual. Reduce meat and oil products from your meal. Take a lot of water with green vegetables and salad in the diet. Increase legume, pulses, and soybean in your diet. Can chronic constipation lead to prostatitis? Why do I have pellet-like stools and bloating from few months?